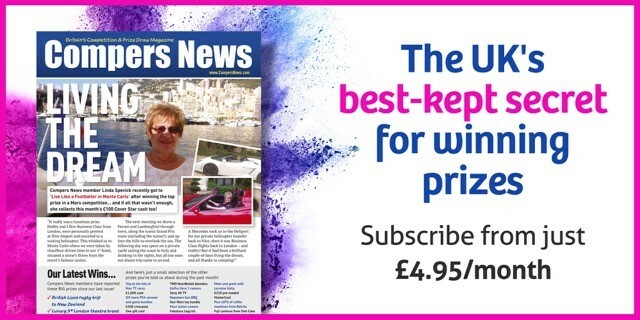 Compers News is the UK's only competitions magazine, with a heritage dating back over a 100 years! The Editor, Steve Middleton, is a comper and he is out everyday hunting for new competitions to go into the magazine, to help our Members win the prize of their dreams! Every month you will receive the magazine, plus as a Compers News subscriber you also get FREE & EXCLUSIVE access to our unrivalled online services specially designed to complement the magazine. Pay just £4.95 by monthly direct debit. 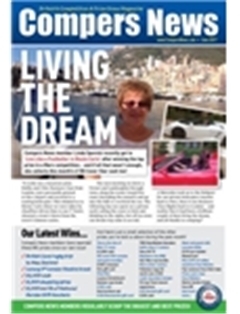 Subscribe today for just £29.70 via Half Yearly Direct Debit.